It’s funny how we tend to think of all our own habits and traditions as completely normal, and sometimes it’s not until you say them out loud that you realise how odd they actually are. Take pancake day, for example. At my primary school it was customary to celebrate the great day with a pancake race. Competitors would line up holding their frying pan, have a pancake placed in it, and then have to sprint to the finish line whilst flipping the pancake and catching it in the pan. 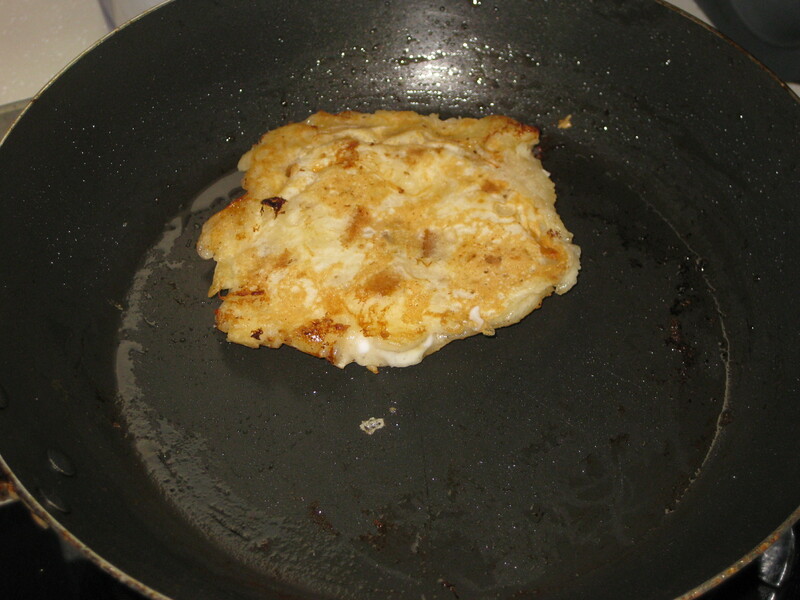 It never even occured to me that other people didn’t do this on pancake day. But apparently, that tradition was fairly unique to my school. As my inability to do any kind of sport started when I was young, the pancake races were never particularly appealing to me, but they were certainly fun to watch and are a happy memory of my childhood. So perhaps it’s time to spread the word and establish this as a well-practised seasonal activity, rather than an oddity that earns bewildered frowns and double takes. Let’s make pancake races happen! 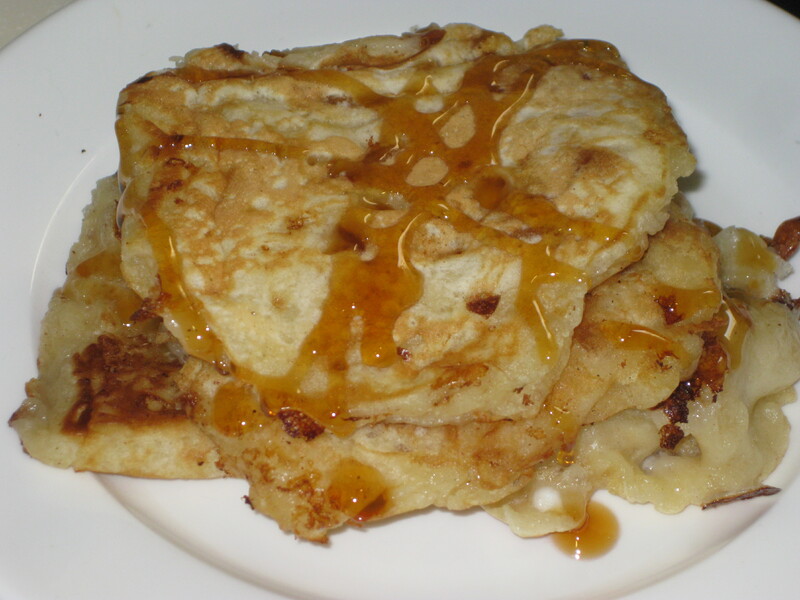 If you favour a more traditional approach to pancake day, then these are the ones for you. These pancakes pack a really fruity punch in the middle, and are far too good to waste on a race. They are adapted from the blueberry version in Simon Rimmer’s The Accidental Vegetarian and are one of the most heavenly breakfasts imaginable. 1. 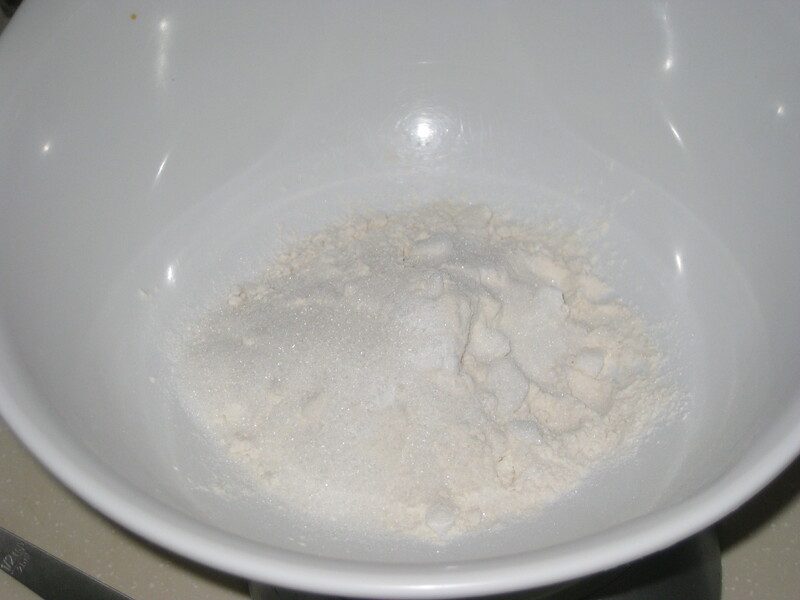 First combine the dry ingredients – mix the flour, bicarb and sugar together in a bowl. 2. 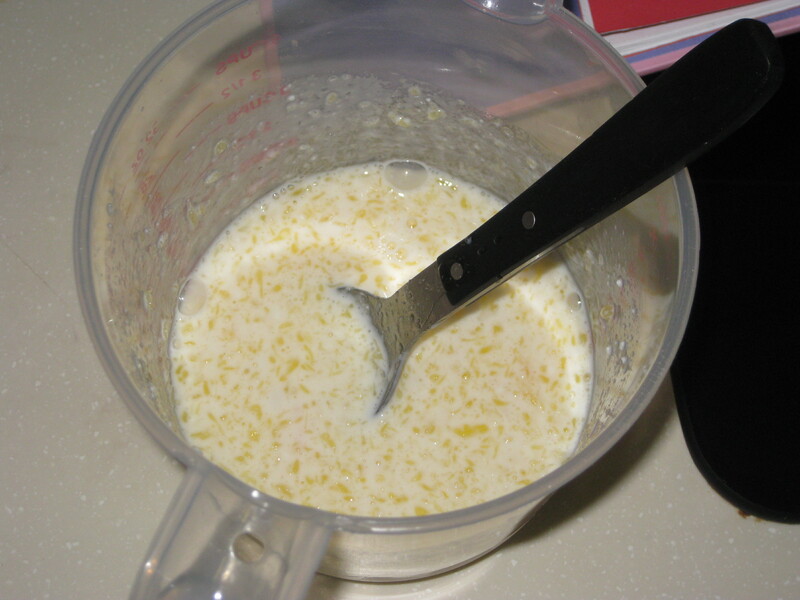 Melt the butter (you can do it in the same frying pan you’re going to use for the pancakes), and mix it in a large jug with the milk, cottage cheese and egg – I generally pour in about 3/4 of a beaten egg. 3. 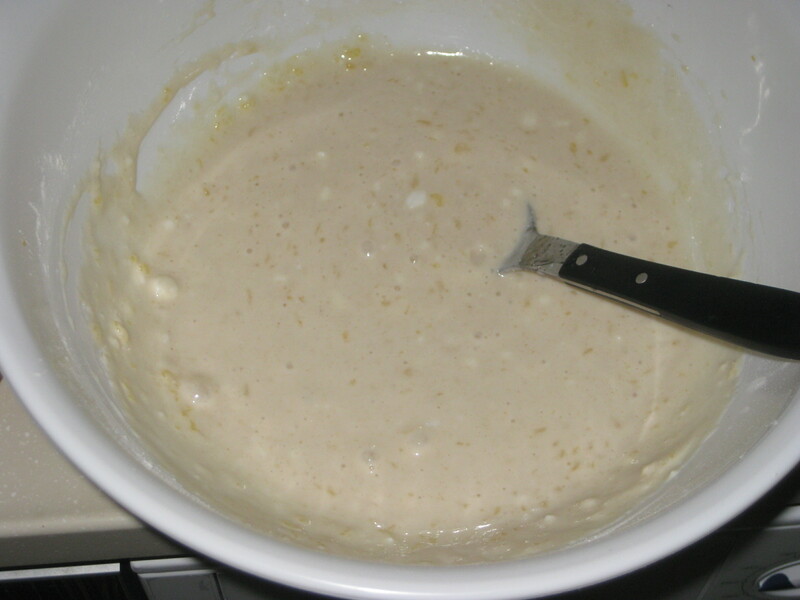 Pour the liquid ingredients into the flour mix, and stir well. 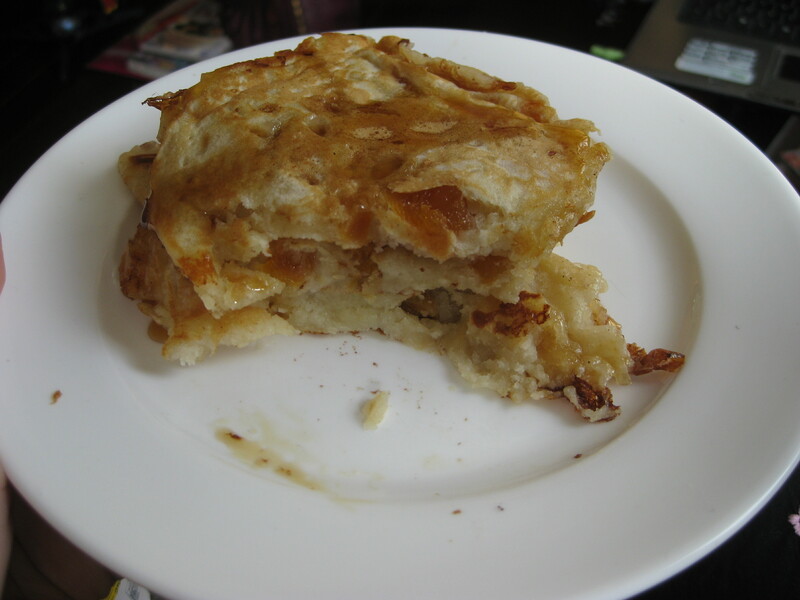 It won’t look completely smooth like normal pancake batter, on account of the lumpy cottage cheese. 4. 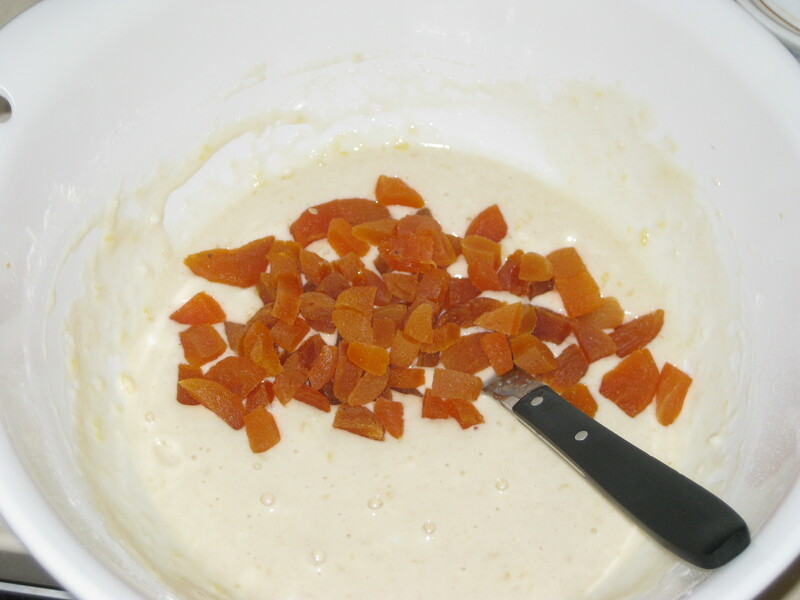 Add the lemon zest and chopped apricots, stir them in well. 5. 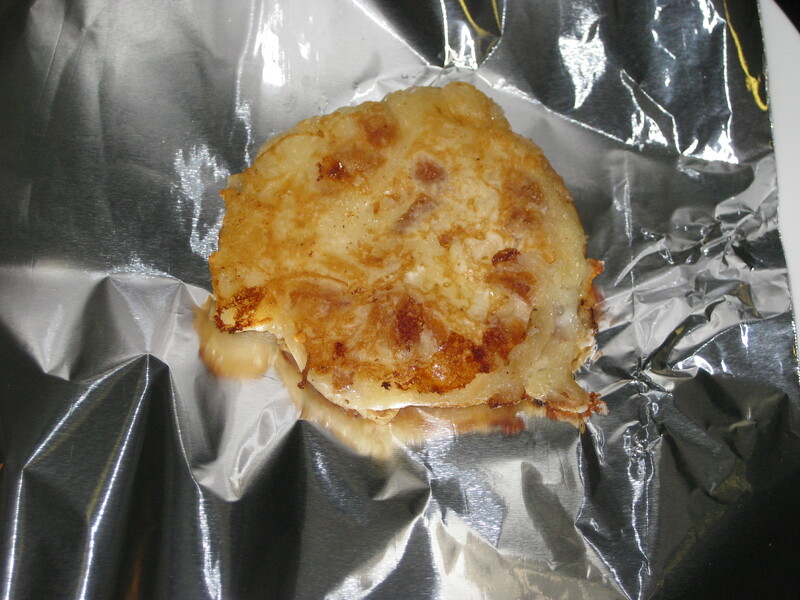 Heat a teaspoon of oil in a frying pan, put a few spoonfuls of the mixture in and cook for 1-2 minutes. Carefully flip it over (it’s not too difficult, as they’re small stout pancakes rather than the big flimsy ones – I still manage to make a fair bit of mess with mine, but they taste good anyway) and cook for the same amount of time on the other side until golden. 6. Repeat with the rest of the mixture. I stack them and wrap them in tin foil to keep them warm until I can serve them all at once. Build a little pancake tower on each plate, drizzle with honey, and get your day off to a joyous start! 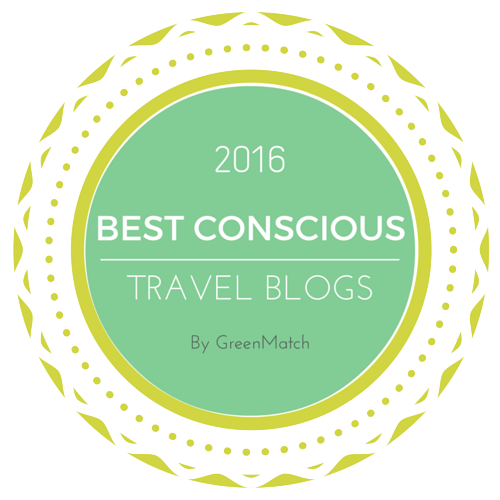 This entry was posted in Vegetarian Recipes and tagged apricot pancakes, pancake day, pancakes with cottage cheese, Simon Rimmer pancakes. Bookmark the permalink.